American pride is more than a feeling. It binds us together as citizens of the greatest country in the world and provides common ground for even the most divided groups. Pride in our country isn’t something that should be shelved until July. It can be a part of our everyday lives and a lot of fun to explore on a daily basis. 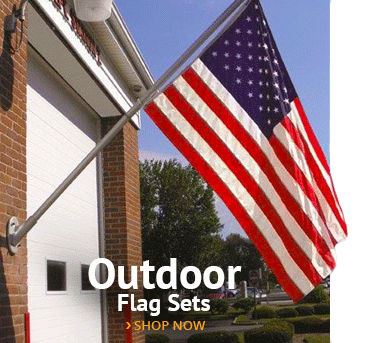 You already have your outdoor American flag in your front yard and the mini flag on your desk in your office, but there’s so much more you can do. To help the red, white, and blue be a part of your life in a myriad of ways, all you need to do is think a little more creatively. 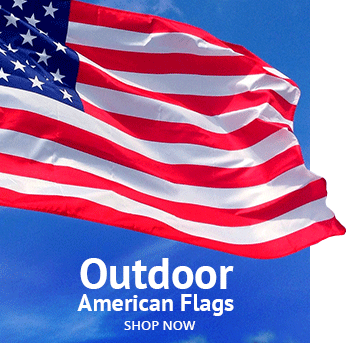 Let Old Glory be a major part of your life this year with some fun, new ideas. A kitchen can be a wonderful place to reaffirm your values. It’s where you feed those you love, gather as a family, and have a chance to practice self-care. This is a great place to let your true colors shine. 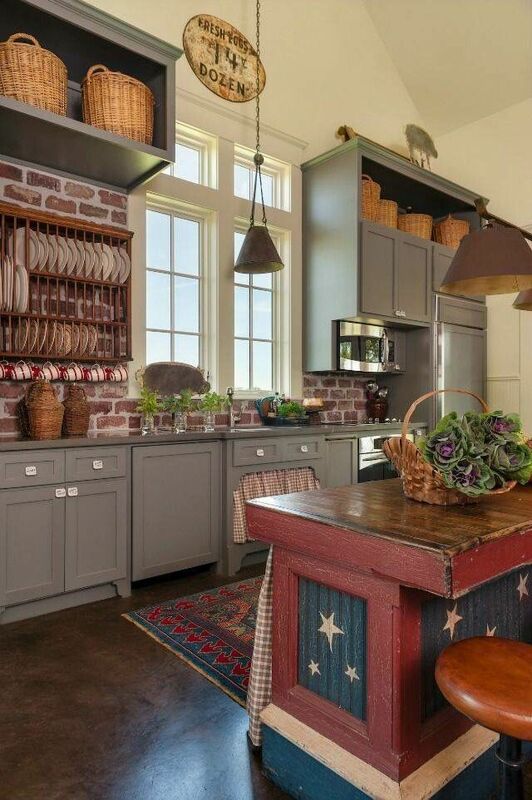 If your kitchen is due for an update, consider this beautiful take on the combination of red, white, and blue. A traditional and uniquely American look, it goes back to the art of the farmhouse without looking cheesy or too much like a theme. All you need is the right paint and a good eye, so, if decorating isn’t your forte, ask a friend or a professional for some help. Your kitchen will be cozy, fresh and clear about your love for your country. If you just want a quick touch of patriotism on your table, you can try this fun, felt Star Table Runner. This no-sew project is a wonderful, low-cost way to bring some pride into your kitchen and not stress over tons of materials or a lack of time. You simply cut out the stars using a template, then glue them together at the points. The kids can help with this one and, together, you can add a lovely touch to everyone’s favorite room. Your dishes can be a great part of your kitchen’s look. If you’re looking for a new set or if you already have patriotic colors, you can display them to help your kitchen shine. Use red plates to create a backdrop for soft, simple white, and blue-patterned pieces that create a pop of colonial color. 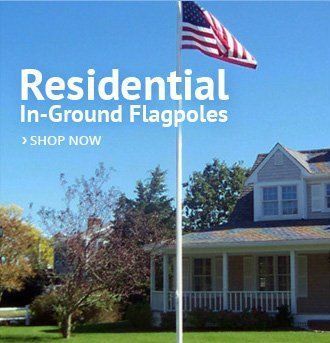 Complete the whole look with a couple of small American flags. Your favorite place to watch a movie or read a book can absolutely get in on the American spirit. 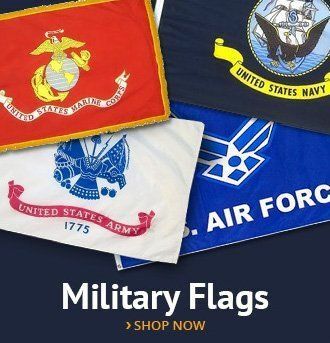 Don’t be afraid to rethink your décor and flow and find ways to incorporate the flag as an important detail to your home. Bring the traditions and coziness of the classic country look into your living room with a beautiful flag and couch combination. Try a large flag cushion with small white and blue accent pillows on a soft ivory couch. Reclaimed wood and a framed vintage flag just above it make a statement without being too loud and just the right amount of proud. Don’t throw out those old end tables! Give them a coat of paint and let your patriotism shine! A pair of flag-inspired tables would look outstanding on either end of a white or blue couch, offering an instant update to your living room. Your fireplace can be a great place to bring out flags that are new or vintage and let them all hang together. Start with some white molding around the fireplace to give yourself a blank canvas, then string small flags across the top. Add stars, photos of family members, and an old lantern to the top. A framed flag above it all is a great way to finish the look. Bedroom décor is a wonderful way to help the younger members of your family express their love of country or focus on your own patriotism. Here are some details to bring your room together and let the flag fly in unique, unexpected ways. Try painting a bureau like an American flag. The effect is stunning and an easy one to recreate. Measure out your stars and stripes ahead of time, and test some paint colors. Make sure you have exactly the shades you want—more muted for a vintage look, clear and crisp to make it modern. You can leave out the distressed look if it’s not your thing, though it does bring a cabin-chic look to the piece. A wall hanging can really brighten up a room, and this beautiful, modern take on a flag is no exception. Get out old jeans, a roll of antique lace, and an old white- and red-checkered tablecloth. Cut the tablecloth the same width as the lace to make your stripes. Cut a square of denim to make the blue field, making sure to add a couple of loops so you can slide it on a wooden dowel. Cut stars out of some older white fabric to fit with the vintage, country-inspired look. You can tie your pieces to the dowel or do some light sewing to bring them all together. Gorgeous! Are you a quilter? Try a beautiful pattern that is a great mix of big and small pieces and makes the most of the color scheme. Once it’s done, you can frame it to add visual appeal to a wall. You don’t have to save your love of America for when you’re at home—you can sport it at any time. T-shirts are a great start, but you can go beyond an iron-on pattern or basic fabric paint to make something truly special. Here are some fun ways to show off your pride and love of fashion all at once. Accessorizing with the flag is always fun, and this great do-it-yourself necklace is one of the many ways you can bring the colors of Old Glory into your jewelry collection. The project is an easy one; you simply braid together three different sets of beads into this textured, lovely look. Wear it on holidays or any day—it will go well with simple blouses and a pair of basic earrings. Not a DIYer? This lovely flag pendant necklace allows you to show your patriotic spirit all year long. Patriotism knows no age, so help your little ones get in on some national pride with these fun projects. The TJ’s Fabric blog has an amazing tutorial on how to make a little sundress that is simply to die for. Your little girl will love this flag-inspired look, and you can take pride in knowing you made it. The tutorial is thorough and well-documented, so this is a good project for those new to kid’s clothes. The bloggers at Cafe Mom understand your need to dress up your baby in DIY onesies that express your love of America, so they’ve posted this beautiful tutorial. A red onesie is decorated with a quick denim applique star and bordered with white shoelaces. The look is cute, country-inspired, and very easy to recreate on your own. Live in a chilly place? Keep your baby’s head warm in style this year with a fun Captain America beanie. This pattern can be adjusted to any size, so your whole family can enjoy a great hat that lets their inner superheros come out all day long. Be sure to start with a nice, bold blue to make the most of this fun look. If you’re ready to make the commitment, you can make the flag a part of how you get around by adding the stars and stripes to your transportation. Pull up in a blaze of glory with these fun ideas. 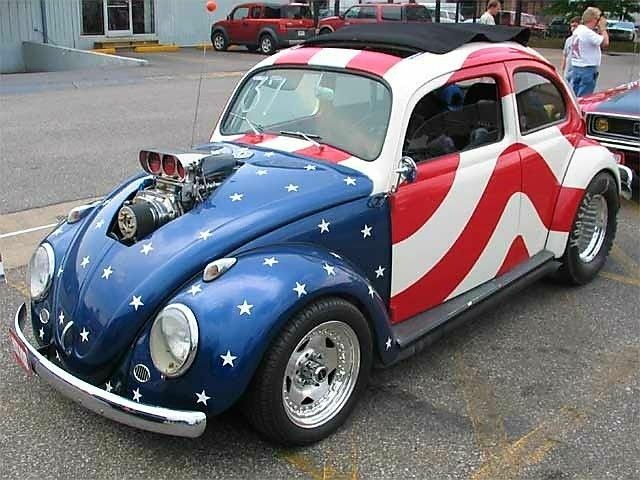 While this isn’t a tutorial or even a suggestion that you paint your car yourself, you can ask your local detailer about turning your VW into a true American with this look. The wave in the stripes makes the colors a bit friendlier, and the blue with white stars in front looks outstanding. This car has been modified, but the look will be beautiful on a standard VW if that’s how you roll. Sometimes it’s the small touches we add to our look that make the biggest impact. One way to start is with a great manicure to show off your love of the fourth of July, the flag, and your country in general. Here are some fun ideas for ways to make the details of your day a new platform for what you believe in. Be sure to grab some red, white, and blue polish to let your hands be your instrument of pride and change this year. Here are two great examples to inspire you. This look is so sweet and so sparkly. If you live for glitter, you need this manicure from the blog intraordinary. The writer suggests not using a stencil for these miniature flags and using a little bit of sparkle to finish off the stars. It’s chic, lovely, and perfect for a holiday or throughout the year. This Wonder-Woman-inspired look is so fabulous you will want to wear it every day. A mix of designs, it pairs sparkling white with shiny red and a split design of red and blue. All together, they make for a great look. To do this on your own, use a winter white with glitter, (or paint a coat of glitter on top), for every third nail. Do a deep, glittery red next to the white nail, and then a half-and-half design of flat blue and red. Put gold stars on that last one and repeat the pattern across your hands. Super! Your morning cup can be a chance to remind yourself of your pride and your history. Here are some great ideas for dressing up your cup of joe. A crocheted cozy for a standard coffee cup is a cute and simple way to add some homemade flair to your morning routine and keep your coffee warm. The blog This Moment Is Good has a wonderful tutorial on how to make one of your own and make plenty to give to friends this year. Make your cup a little cozier and enjoy the touch of color. Okay, it’s another crocheted cozy, but look at this. It’s perfect for a bottle of American beer or a great cup of joe to go. Don’t let your beer slip from your hands or your morning cup go cold—keep freedom and your drink firmly within your grasp with this lovely detail. The blog a crocheted simplicity has all the directions and tips you need to create this fun craft yourself. It’s a simple and easy way to spread the message of patriotism and make yourself a little happier throughout your day. Even if you’re new to crochet, this one is worth your time. 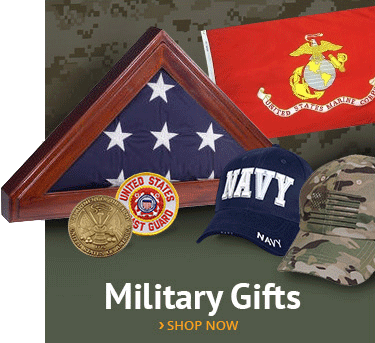 This entry was posted in AmericanFlags.com News, Banners, Honoring Our Veterans by Administrator. Bookmark the permalink.